Merry Christmas, Happy New Year and thanks for your support. The end of 2017 is approaching! The team here at Littlehampton Bricks and Pavers just wanted to take a moment to say thanks to you for your support in 2017. We had a great 2017 with new team members, memorable projects and saw many stunning jobs from our valued customers who used our products in both traditional and unique ways. We hope you had a great 2017 too! 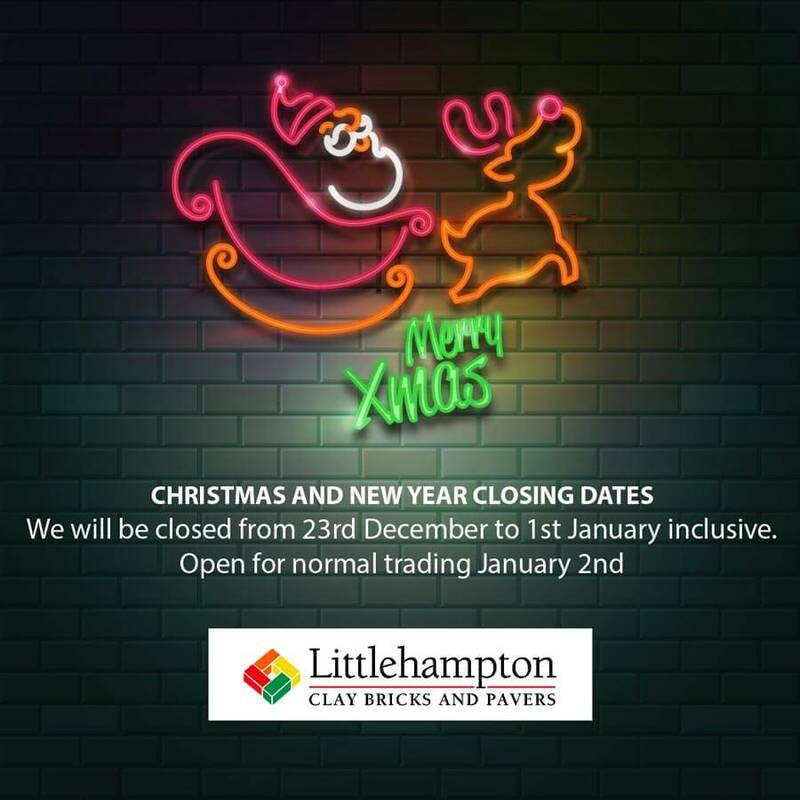 Littlehampton Bricks and Pavers offices will be closed from December 23rd to January 1st inclusive. Open again for normal trading hours January 2nd. Thanks for your support and look forward to seeing you in 2018!! PreviousPrevious post:SPRING NEWSLETTER 2017 AUGUST/SEPTEMBER. A DESIGN AWARD, A NEW TEAM MEMBER, WELCOMES AND MORE!NextNext post:Special thanks to a long-time customer – Badem Constructions!